Title: Dido, Queen of Carthage. Author: Christopher Marlowe and possibly Thomas Nashe. Language Difficulty Rating: 4 (slightly difficult). 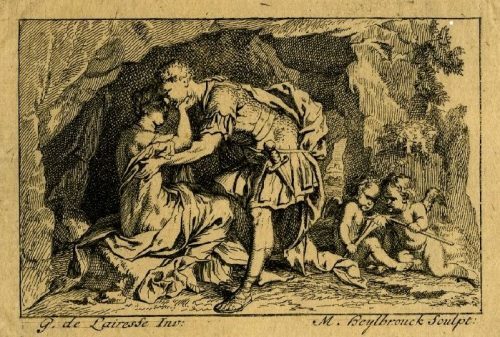 Dido, Queen of Carthage was likely Christopher Marlowe’s first dramatic work, after having translated two Latin poetic collections while he was at university (the contribution of Thomas Nashe to the play is a matter of great uncertainty). The verse in this retelling of the first third of the Aeneid is slightly old-fashioned, filled with alliteration, and generally strict in its iambic pentameter – though he never varied much from the latter as his career progressed. The tale is entertaining, however, and the play was superior to almost anything that had come before it. Our Story: Aeneas and his fellow Trojans have been sailing the Mediterranean Sea for seven years, trying to reach Italy after the destruction of their native city Troy. The goddess Juno, however, has other plans, and she created a storm that destroyed Aeneas’ fleet and drove the Trojans onto the shore of North Africa. The local queen of Carthage, Dido, assists the peripatetic sailors, but Venus, too, interferes, and causes Dido to fall hopelessly in love with Aeneas, with tragic results.